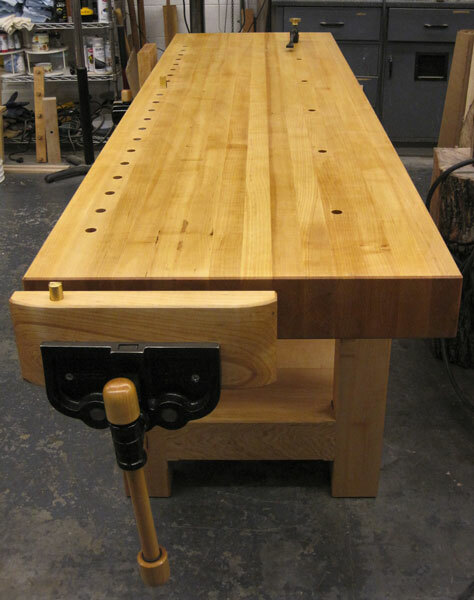 Adding our September 2012 Workbench of the Month from Robert F. L. of Columbia, South Carolina to our Lake Erie Toolworks Blog for ease of access and historical awareness. 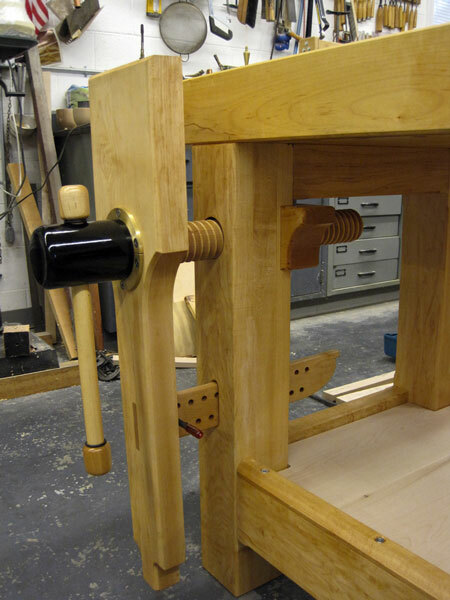 My bench style is a modified Andre J. Roubo. As an artist who works in wood, I have sized the various parts to best suit my needs. 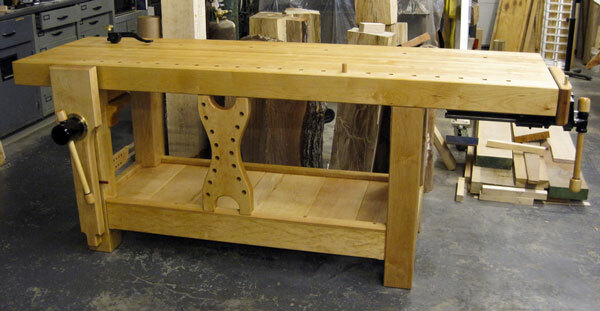 The entire bench is made from hard maple finished with a typical boiled linseed oil and varnish blend. The top is 90 inches long, 26 inches wide, and 4.25 inches thick. The working height is 35 inches as I often am using power tools. The entire bench weighs in at 430 lbs. You can see some of my work at www.robertflyon.com. I can’t say enough about the quality of my Lake Erie vise screw. The workmanship is top notch as is the service. Please keep up the good work, as it’s hard to find quality at a fair price. I have been recommending you to all my friends.